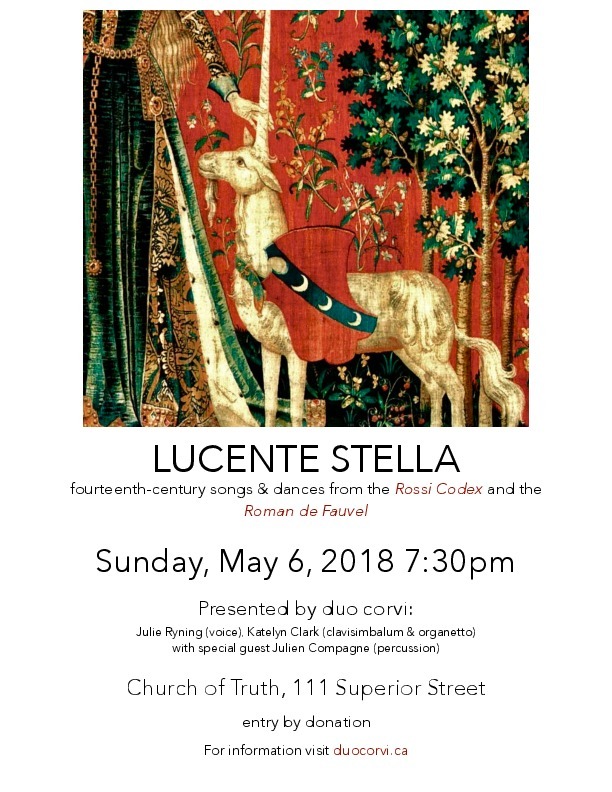 Duo Corvi presents Lucente Stella, a concert highlighting fourteenth-century music of the Rossi Codex and Roman de Fauvel for voice, early keyboard, and percussion. 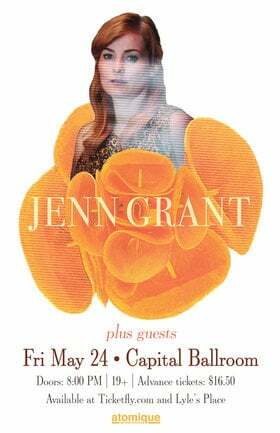 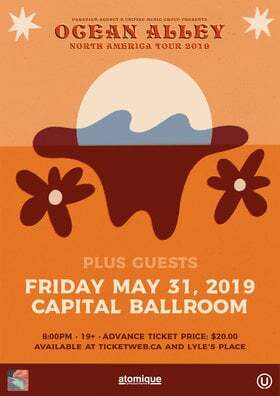 This concert will take place at the Church of Truth (111 Superior Street, Victoria) on Sunday, May 6, 2018 at 7:30 pm. 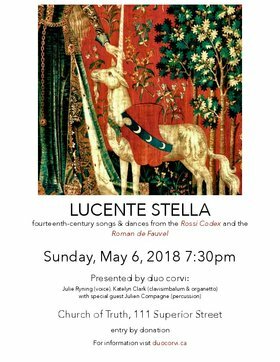 This engaging programme features songs and dances from Le Roman de Fauvel (1310-17) and the Rossi Codex.